-->> Damm i want that TOY ..
~~ ** AHEM .., Playmates..
(( reminds me of the Sta Wars III Boga a little bit, the one Obi Wan rides. 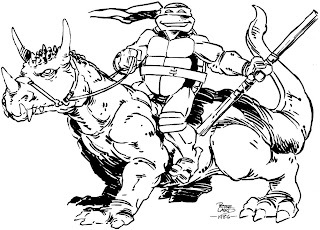 Donatello looks so damm happy !! Wish i had some of what he's on..